Failure or success? Your students decide. Students practice making decisions during associated classroom lessons before journeying to the Cosmosphere where they put their decision-making skills to work to solve a problem, explore the history of the space program and visit the actual Apollo 13 command module, Odyssey. Includes teacher training as requested and standards-aligned curriculum with activity book. Supplement astronomy classroom lessons with activities that create a deeper understanding of the solar system. Of course, no astronomy visit would be complete without a show in our Justice Planetarium, where students will get to see the solar system in vivid detail! Activities include the planetarium show, making Solar System bracelets, a scaling activity and a Seasons on Mars presentation. After they have studied the life cycle of stars; the elements; or electricity, magnetism and light, bring your students to the Cosmosphere to discuss the intricacy and use of spectral analysis. Check out a fun show about how light travels, blends, reﬂects or changes color, and gaze at the sun with our solar telescopes or do a sunspot activity. Within the Justice Planetarium, almost any question can be answered live, and reinforced by epic visuals. Activities include a light show, spectral analysis and decoding, a planetarium show and solar gazing. The future of the world is in your students’ hands. They’ll read Hiroshima by John Hersey and study The Manhattan Project while completing lessons across math, chemistry, biology, history, journalism and English. Then, they will journey to the Cosmosphere where they will prepare a National Security Brieﬁng for the President, translate what they’ve learned to a real scenario, utilize primary source materials, and work as a team. Includes teacher training as requested, standards-aligned curriculum and one copy of the book Hiroshima. Activities include a show in the Justice Planetarium, a Dr. Goddard’s Lab presentation and admission to the Hall of Space Museum. Enjoy hands-on STEM activities with a space-centric theme! Learn about living in space, rocketry, the Moon and so much more! Stay and experience the workshop together or drop off youngsters while you and the rest of the family enjoy another program. Adults must accompany 2-7 year olds (no additional cost) 8-12 year olds may be dropped off, but must be signed in and out by a responsible adult. Experience is included with an All-Access Mission Pass. We have a lost astronaut on Mars! Join the rescue team to locate the astronaut, repair the Mars buggy, send a rescue pod, and bring the astronaut back to safety. Includes a robotics class, guided tour of the Hall of Space Museum, Journey to Space documentary in our Carey Digital Dome Theater, teacher training as requested, standards-aligned curriculum and one copy of the book The Martian by Andy Weir. We have a lost astronaut on Mars! Join the rescue team to locate the astronaut, repair the Mars buggy, send a rescue pod, and bring the astronaut back to safety. Includes teacher training as requested, standards-aligned curriculum and one copy of the book The Martian by Andy Weir. Activities include a show in the Justice Planetarium, a “What is the Moon?” presentation, a guided tour of the Hall of Space Museum, a “Living in Space” presentation and activity and answers to the questions: What is the Moon made of? What does it do for us? What is it like to travel there? Climb aboard our mini-Vostok space capsule and get ready to explore! Rotating age-appropriate topics such as: Five Sense Science (focused on our ﬁve senses with a space twist), ﬂight, space history, properties of matter, Toys in Space, Meet our Moon, Night Sky Planetarium, Living in Space program with puppets and Hall of Space Museum tour with puppets. Program can be customized. 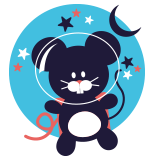 Based on the Mousetronaut book series by astronaut Mark Kelly, students prepare a mouse for a trip to Mars by designing a spacesuit and spaceship. They’ll learn about Mars in the Justice Planetarium, spaceships in the Hall of Space Museum and see the journey come to life in the Carey Digital Dome Theater! Includes teacher training as requested, standards-aligned curriculum and one Mousetronaut book. Experience the Cosmosphere! Activities include your choice of shows in the Justice Planetarium and Carey Digital Dome Theater, a Dr. Goddard’s Lab presentation and admission to the Hall of Space Museum. Come ﬂy with us! Students study the forces of ﬂight (thrust, drag, lift, weight) in their classrooms before journeying to the Cosmosphere to put their knowledge to the test. Using the CosCar, CosCopter or FPG-9, they will create and test their own designs. Includes a special Dr. Goddard’s Lab, guided tour of the Hall of Space Museum, choice of Carey Digital Dome Theater movies Air Racers or Living in the Age of Airplanes, teacher training as requested and standards-aligned curriculum. Are your students up to a challenge? Students engineer and program their robots to tackle a variety of tasks. Participants will use elementary coding to program robots, tackling a variety of tasks. They'll also view our Robots movie in our Carey Digital Dome Theater and have a guided tour of our Hall of Space Museum. Click here to see the trailer for Robots movie. Experience the explosive history of rockets and discover the different machines that have carried humans to space. Build and launch paper air rockets, see a Dr. Goddard’s Lab presentation and take a guided tour of the Hall of Space Museum. Experience the explosive history of rockets in Dr. Goddard’s Lab and discover the different machines we’ve ﬂown to space on a guided tour of the Hall of Space Museum. Build and launch model rocket with engines. Watch as the education team launches a trash can 150 feet in the air! (Launches are weather permitting). Space needs a cleanup crew! From the standards-aligned curriculum provided, students will study the history of satellites and orbits before journeying to the Cosmosphere for a special Dr. Goddard’s Lab show, Space Junk movie in the Carey Digital Dome Theater and a tour of the Hall of Space Museum with emphasis on the space junk we created. Then they’ll apply what they’ve learned to engineer a space junk collector. Is humanity’s hunger for information new? Is this something that’s happened with the birth of the personal computer, or is it something that’s been around much longer? As it turns out, humans have desired information for a long time. Often, it was because groups of people didn’t get along. They wanted to know what the “bad guys” were up to, so they would send one of their own to spy on the other group. Since early history, spying has been the subject of many stories. 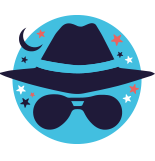 With this program students will learn about the history of spying and the Cold War, learn spying techniques and decode encrypted messages. Includes teacher training as requested, standards-aligned curriculum and one copy of the book The Spycatchers of Maple Hill by Megan Frazer. 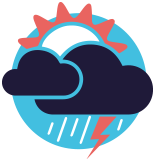 From the standards-aligned curriculum provided, students explore their local weather, weather around the world, and learn about shapes, perimeter and area before coming to the Cosmosphere to see weather in action. Includes special Justice Planetarium and Dr. Goddard’s Lab shows, teacher training as requested and standards-aligned curriculum. All prices are per student. Planetarium Show - 45 Minutes Included with Crazy Cos Fun and Mission Pass Field Trip. 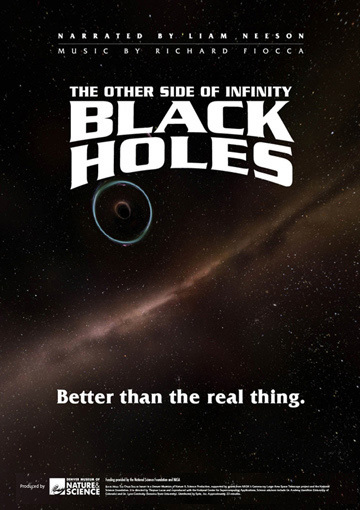 This cutting-edge production features high-resolution visualizations of cosmic phenomena, working with data generated by computer simulations, to bring the current science of black holes to the dome screen. Audiences will be dazzled with striking, immersive animations of the formation of the early universe, star birth and death, the collision of giant galaxies, and a simulated flight to a super-massive black-hole lurking at the center of our own Milky Way Galaxy. 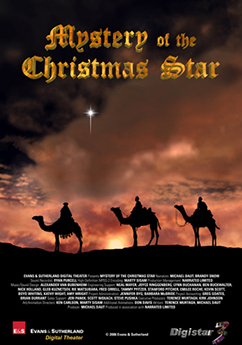 Journey back 2000 years to Bethlehem in pursuit of a scientific explanation of the star the wise men followed to find the baby Jesus. This modern retelling of the Christmas story is sure to charm and captivate audiences of all ages. Journey through the night sky of each season during this engaging live production. You'll find out why we have seasons, and discover how the sky changes throughout the year. On each stop, you'll learn about bright constellations and dazzling deep sky objects. To wrap up, you'll receive a preview of tonight's sky, so you can go out and stargaze yourself! 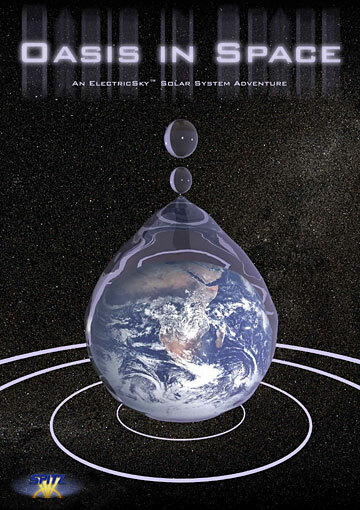 Oasis in Space transports the audience on a startling and beautiful voyage through our universe, galaxy, and solar system in search of liquid water, a key ingredient for life. Not all stars are created equal. Some are massive, others are tiny— almost insignificant. The specific characteristics of a star will determine what type of life it will lead, how long it might live and even the type of death it will die. 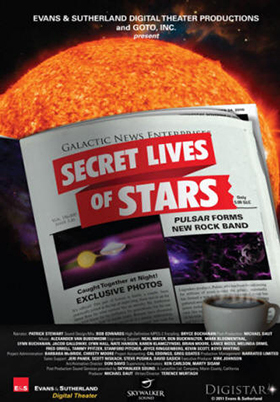 Witness the amazing variety of stars and peer into their secret lives. Best for Middle School through College. While attending a local star party, two teenage students learn how the telescope has helped us understand our place in space and how telescopes continue to expand our understanding of the Universe. 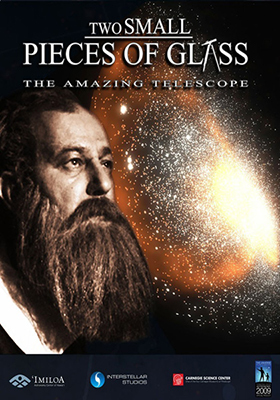 Their conversation with a local female astronomer enlightens them on the history of the telescope and the discoveries these wonderful tools have made. Best for 3rd grade or younger. Almost done! Please complete the fields below or go back. NOTE: One complimentary pass is available for every 15 students. Comps will only be given to teachers, paras and bus drivers. Usual circumstances allow for only one chaperone or parent for every 10 students. How did you hear about a Cosmosphere field trip?